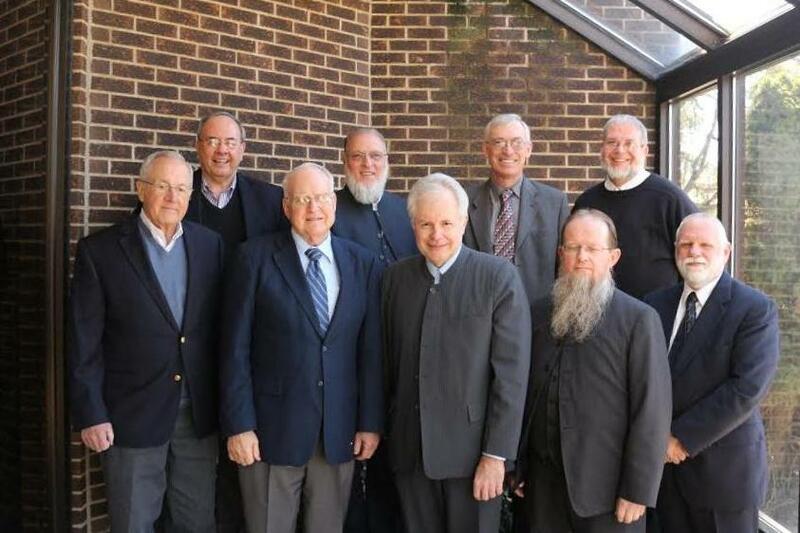 The board of the Brethren Encyclopedia, Inc., which includes representatives of the seven Brethren bodies descended from Alexander Mack in 1708, met for its fall meeting Monday, March 17, 2014, at Ashland Theological Seminary in Ashland, Ohio. The group began planning for the Sixth Brethren World Assembly, to be held the summer of 2018. Under the leadership of BE board president Robert Lehigh, of the Dunkard Brethren Church, the members processed financial reports for the previous year, including financial and program assessments from the Fifth Brethren World Assembly which was held the summer of 2013 in Brookville, Ohio. DVDs of the sessions are now available through Brethren Heritage Center, and the target for having a printed version of all papers and session content is the late fall or winter of 2014. A number of current in-process publishing projects were discussed, including updated versions of several of the board’s leading publications, including “Brethren Beliefs and Doctrines” by Dale R. Stoffer and “Brethren Beginnings” by Donald F. Durnbaugh. At least three additional Brethren-related manuscripts are now being assessed for possible future publication, as well. The board approved James Miller of Bridgewater, Virginia, to begin working with the board as an associate for marketing. A project was also discussed to raise approximately $50,000 as an endowment to provide operating income for the Alexander Mack Museum in Schwarzenau, Germany. A mailing to approximately 12,000 family units from the various Brethren bodies will take place soon. The BE board sponsors a Brethren World Assembly every five years, and planning has begun for a gathering the summer of 2018. A number of potential locations were discussed, as well as possible themes. The board will continue to refine future directions at its next meeting in October. Gary Kochheiser, Board Member, Conservative Grace Brethren Churches International; and David E. Miller, Board Member, Old German Baptist Brethren Church. For more information log onto www.brethrenencyclopedia.org.